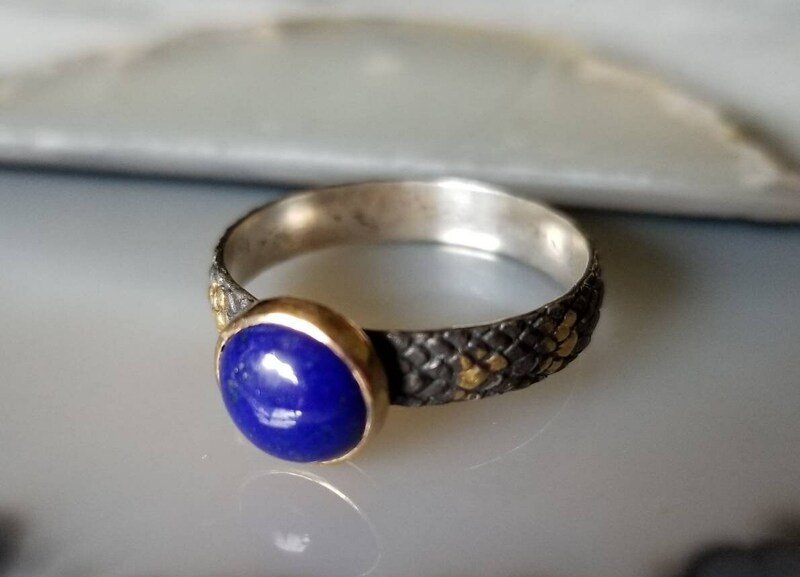 The 4mm sterling silver band has intriguing texture reminiscent of snake skin. 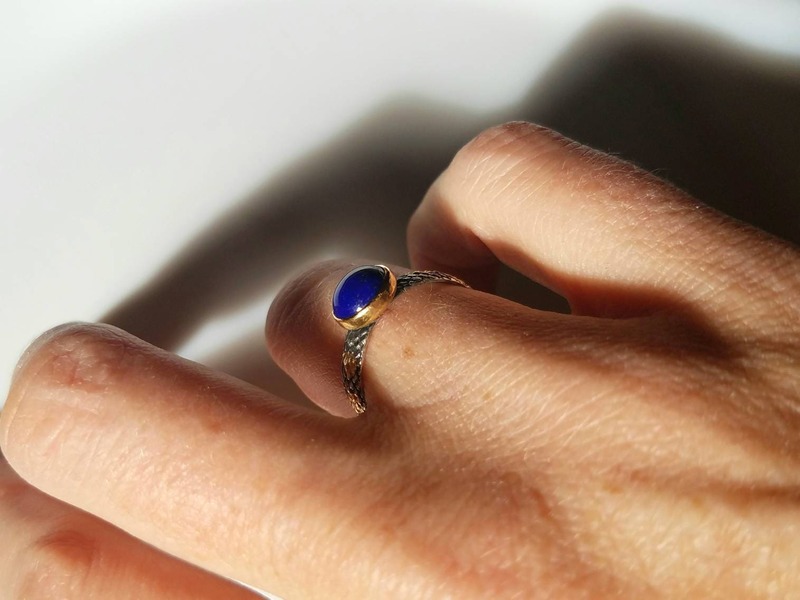 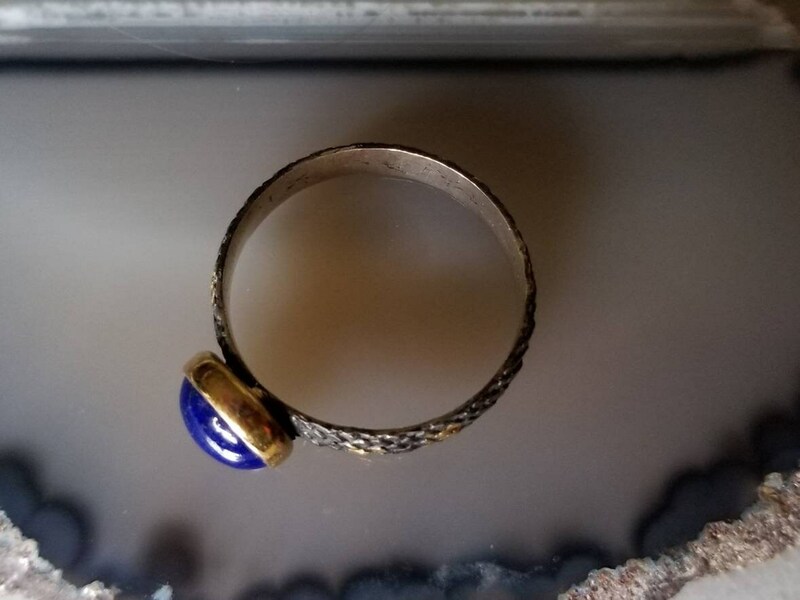 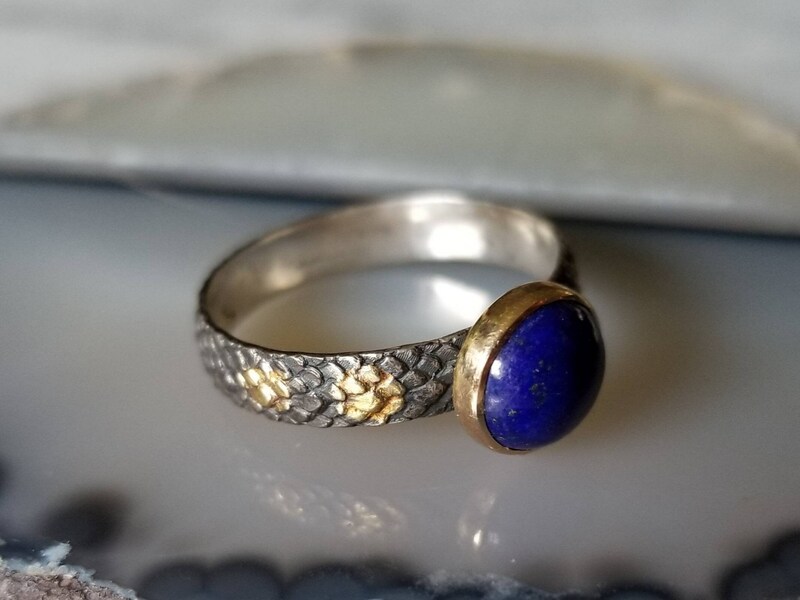 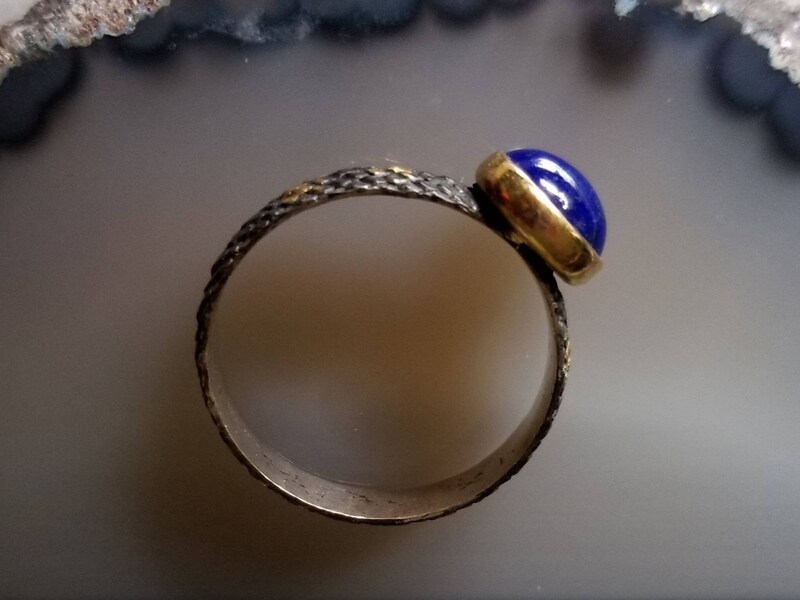 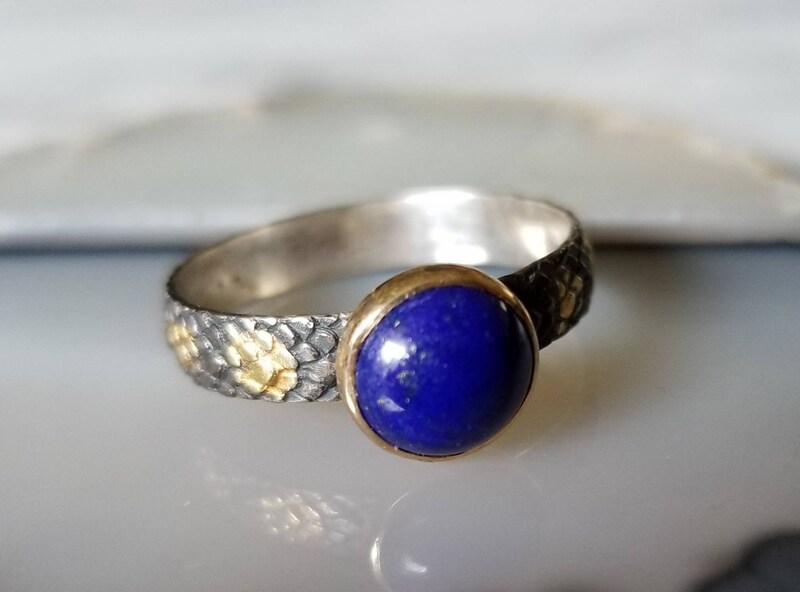 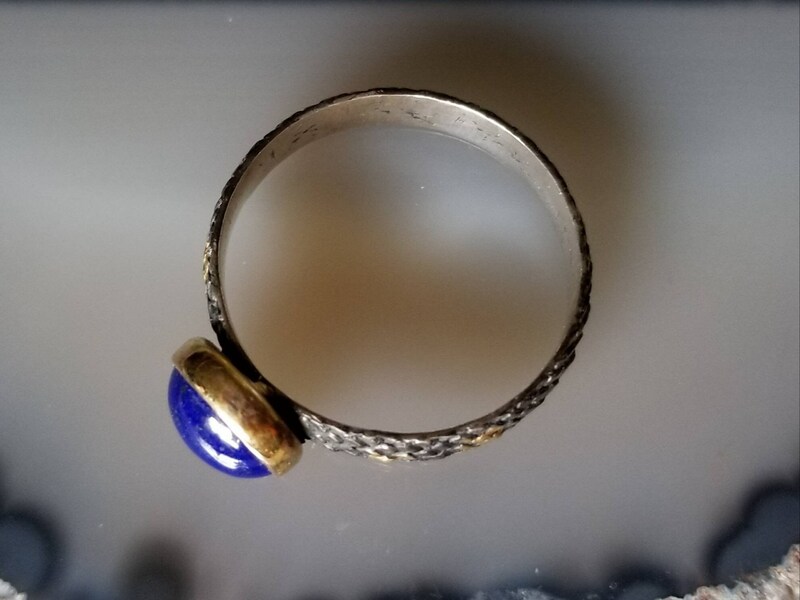 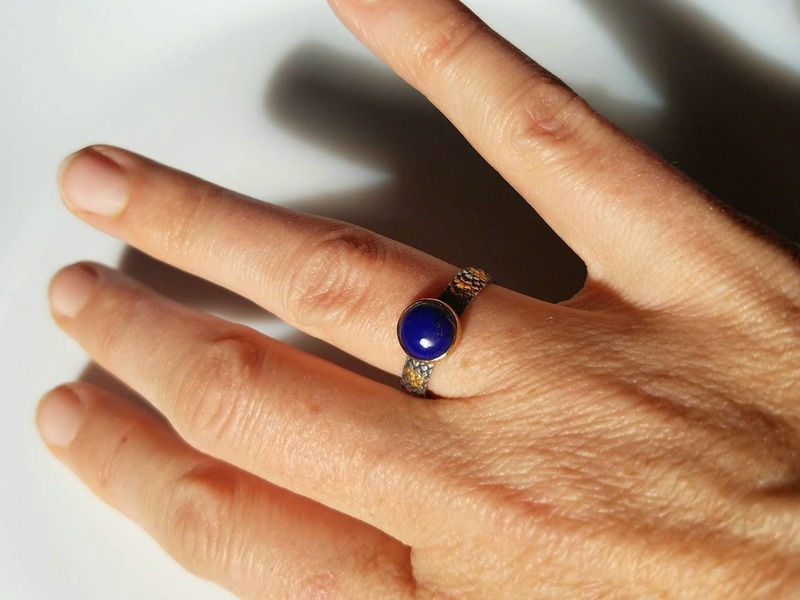 It holds an amazingly intense blue 8mm lapis lazuli set in 14k gold. 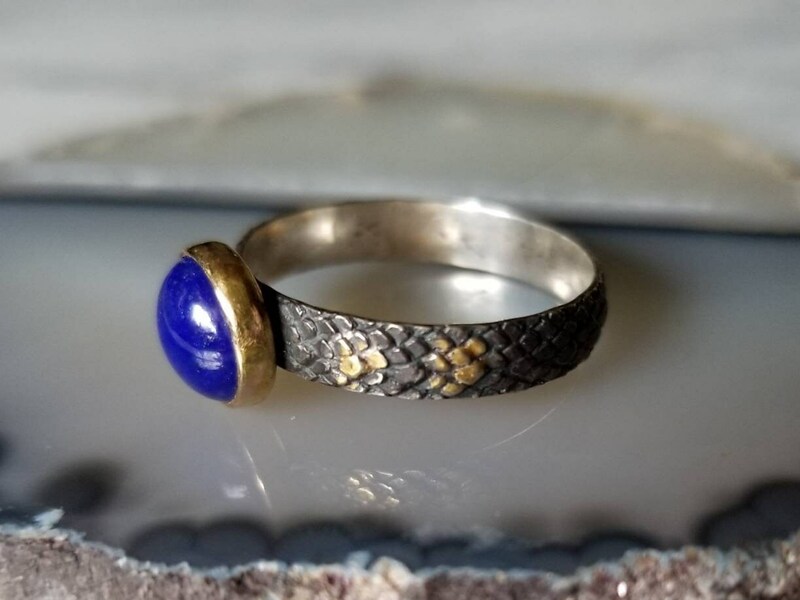 On the band I used keum-boo, the ancient technique of fusing 24k gold to silver to apply the bright gold details, accentuated by the dark patina of the silver.